Ryan began his professional life in digital marketing. His first company, Suitcase Interactive, was a consistent best-digital-agency award winner. And his tenacity and forward thinking also led him, personally, to being awarded a coveted place on the auspicious 40 under 40 list. (Notice that we’re not telling you many years ago that was, we’re kinda attached to our kneecaps ; ) Those seminal years also led him to the enlightenment that the whole concept of advertising and digital agencies was dead. From there it was a short putt to the birth of Cult, one of North America’s first true engagement agencies. As Cult’s President, his legacy as a pioneering thinker has blossomed from pushing pixels, to pushing forward what marketing actually means. He founded The Gathering in 2012, honouring cult-like brands that put the generation of movements before the creation of ad campaigns, it is now widely acknowledged to be one of North America’s premier annual marketing conferences. And it’s an idea that has introduced Cult to brands like Keurig, Converse, Airbnb, UFC, Las Vegas Tourism and Red Bull, among many others… hey, there’s only so many names you can drop in one bio. Never one to whine about the status quo, but rather put his energy into finding a better way, his latest innovation is the founding of a whole new operating model for marketers, both on the client side and in the industry that serves them. Called Communo, it is an incomparable brain trust of talent for brands, a human resources platform for marketing professionals, and an unprecedented business development engine for both. In his “spare time” he continues his strong commitment to giving back, both here at home in Calgary, and around the world. He spearheads Cult’s ongoing monthly commitment to Ronald McDonald House, and continues to lead Project Smile, the international relief organization he founded over a decade ago. 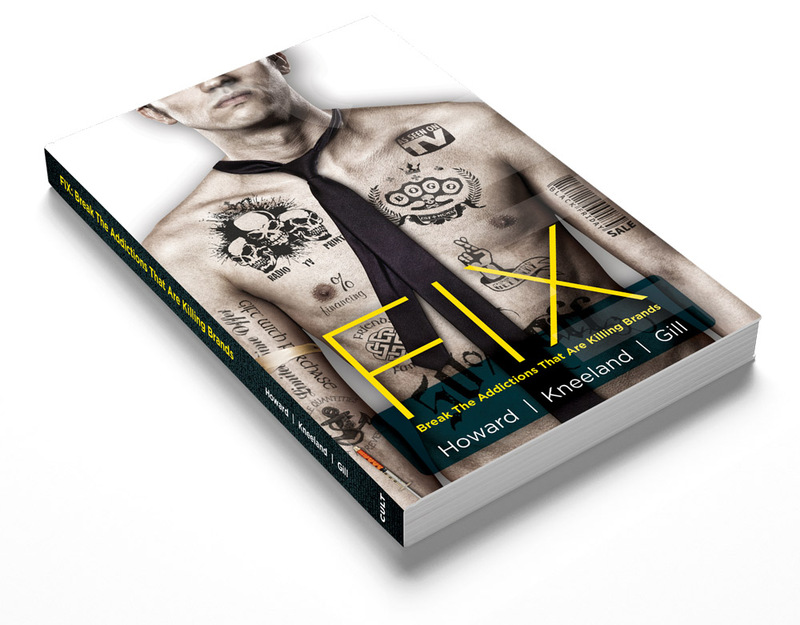 And he even managed to find some spare, spare time to co-author three editions of Fix: Breaking The Addiction That’s Killing Brands, Cult’s thought leadership book that’s changing the way CEOs and CMOs see the marketing function. My Dad. He’s kind, honest, simple, insightful, hardworking and quick to the point. Now why can’t all advertising be like that!